For one day (today), Google is allowing anyone in the United States that is over the age of 18 to buy the $1,500 wearable headset, Google Glass. While the Explorer Program has made it possible for thousands of people to get their hands on Glass prior to a full public release, this will finally make buying the wearable just as easy as buying any other device. Google had planned to announce the sale on both Google and Facebook, but before it could do that, documents about the plan were leaked and everyone was informed of the expanded Explorer Program. Anyone with enough money to buy Glass will be able to do so at 9am EDT HERE. $1,500 is still a pretty hefty price tag for a device that cannot fully be integrated into a person”s life so far. Future iterations of the headset will undoubtedly be useful but the first version of anything is bound to be limited. Plus, as we have already seen with other Glass Explorers, the general public doesn”t take too kind to having Glass pointed at them. Google has not announced how many spots are open to the public in its Explorer program, so we can only assume that you should head over to the site as fast as possible in order to get the device. 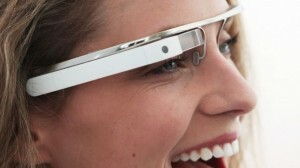 Right now, Glass can be used for taking photos and videos, browsing around Google, getting directions, etc. These functions are definitely going to be beneficial to certain people, though we should note that the battery life is just 5 hours (sometimes a little bit longer), so you cannot use the glasses all day anyways. Question – Are you going to try and purchase Glass today? Summary: Google is making Glass available to the general public for one day only, today. If you are in the US, over 18 years old, and have $1,500, you might be able to get the device!